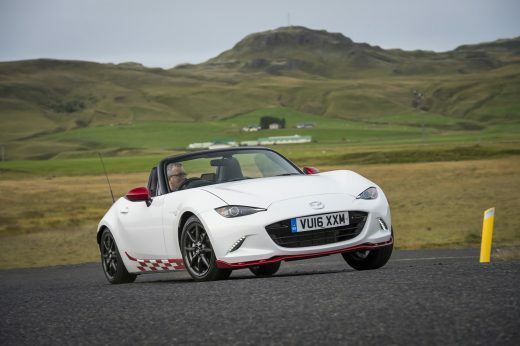 Having made its public debut at the 2016 Goodwood Festival of Speed, the all-new Mazda MX-5 Icon special edition has joined Mazda’s award-winning sports car line up. 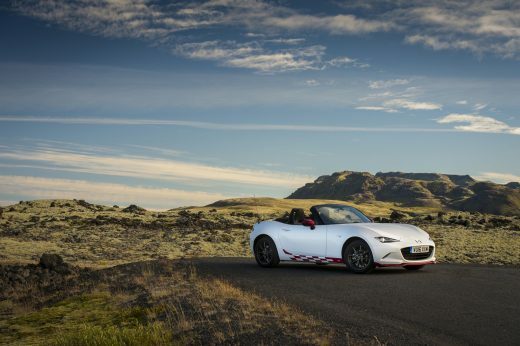 Celebrating the world’s best-selling two-seater roadster with its striking design and unique colour scheme, the Icon is the first special edition version of the all-new Mazda MX-5 to feature the 131ps 1.5-litre SKYACTIV-G engine. 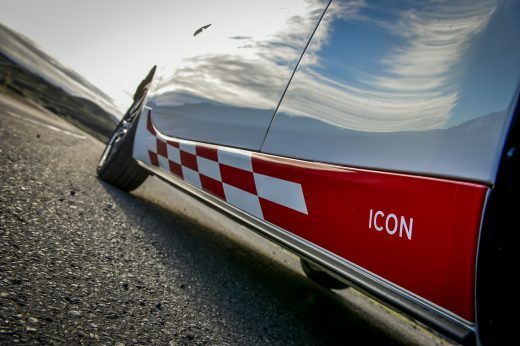 With a choice of free-of-charge Meteor Grey Mica or Crystal White Pearlescent paint, the £20,995 on-the-road Icon is marked out by its contrasting design cues and enhanced standard equipment. 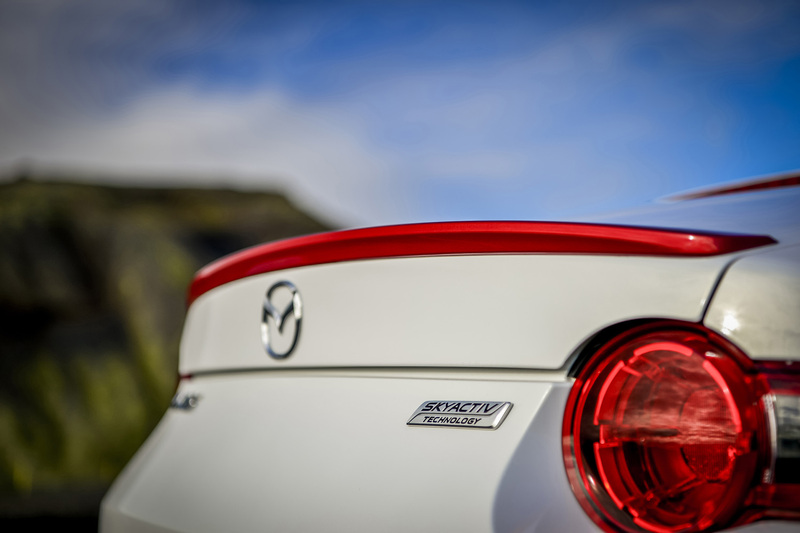 Visually the Icon makes a bold statement with its Soul Red Metallic wing mirrors, rear spoiler and front skirt. 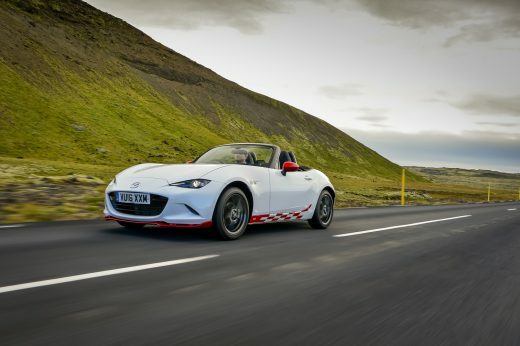 The unique look is further boosted by red side decals and 16-inch Gunmetal alloy wheels, while the increased equipment tally also includes black leather seats, rear parking sensors, dusk-sensing lights and rain-sensing wipers. Limited to just 600 cars this exclusive UK only model is also marked out by a special edition plaque on the centre console and is in dealerships now. 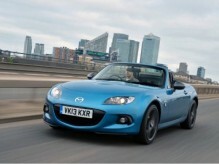 “We’re delighted that UK MX-5 fans have the opportunity to buy another great special edition. 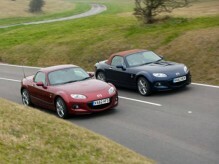 With over 120,000 sales since its launch in 1990, the UK has played a huge part in the MX-5 success story and the Icon follows a long tradition of special edition MX-5s that allow customers to have a stand out vehicle which is truly affordable.” commented Jeremy Thomson, Managing Director of Mazda Motors UK.